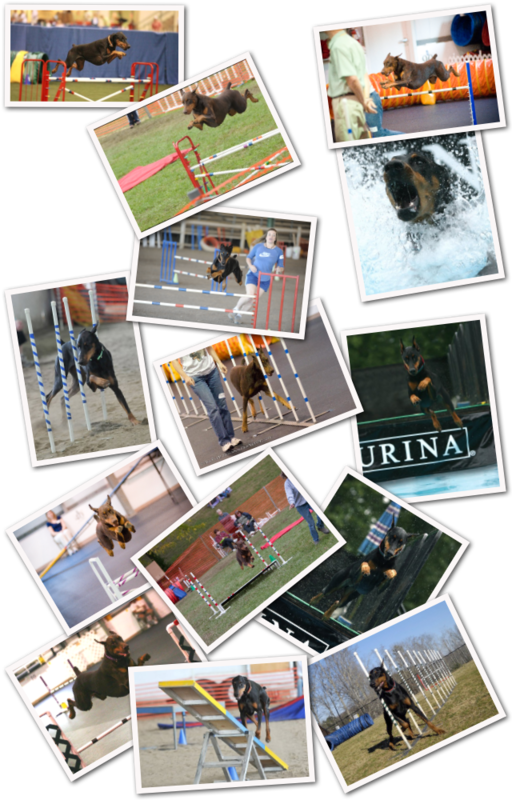 Enjoy these photos of our family of Dobermans in action! No content on this website can be used/copied without the expressed written consent of Bebe McManus, owner. You may link to this website, but permission is restricted to making a link without any alteration of the website's contents. Permission is not granted to reproduce, frame or reformat the files, pages, images, information and materials from this website on any other website unless express written permission has been obtained from the web owner, Bebe McManus.